Description: A flexible engine which offers the ability to simulate both strategic and tactical scenarios/campaigns throughout history. Includes scenarios/campaign covering Ancients, 18th century, Napoleonic, World War I, World War II, and Modern. New scenario “Lens” for the RenaissanceTactical and new units. New scenario “Malplaquet” for the Wars17thTactical. New campaign “Campaign 1812” for the NapoleonicTactical. New campaign and units for IIndEmpireTactical. Added new campaign for AntiquityTactical, Wars17thTactical, NapoleonicTactical, IIndEmpireTactical. Added new units to all of the above except Wars17thTactical. Added a new scenario to MedievalTactical and to RenaissanceTactical. 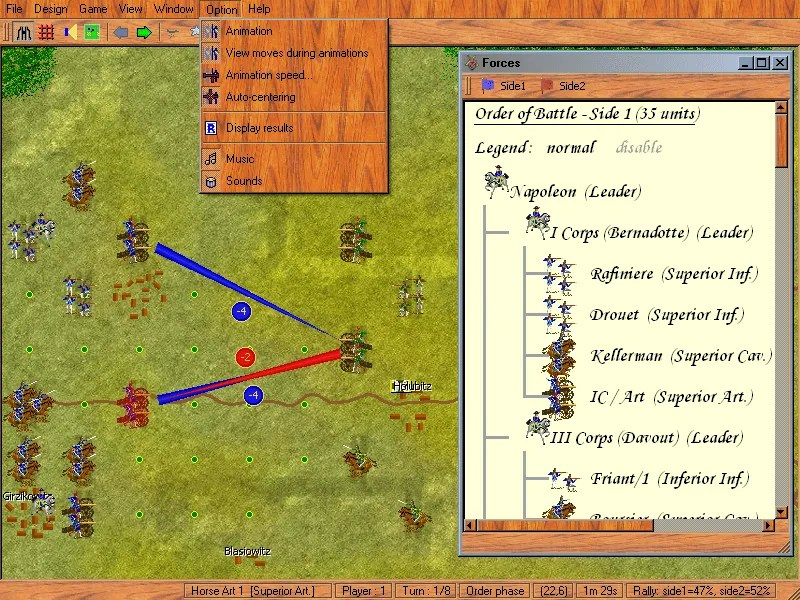 Added scenario for NapoleonicTactical, NapoleonicTacticalOL, IIndEmpireTactical. Added new campaign for CivilWarTactical, IIndEmpireTactical, RenaissanceTactical, Wars18thTactical, WWI, WWII. Next story FreeCiv – A turn-based, open source Civilization clone. Previous story Matrix Games and Slitherine Games’ Holiday Sale…A Look at the Options.